domeprojection.com® ProjectionTools is the most versatile automatic display / projection calibration system on the market for the calibration of arbitrary screen shapes and unlimited projection channels. It is scalable from portable, easy-to-use single camera systems for screens, which can be captured by one camera (also supports fisheye lens), up to high-end fixed installations requiring multicamera calibration. No matter which ProjectionTools system you use, it will always facilitate all workflows around the projection system – as opposed to competitive products – by offering no limitation in projector channels, projection resolution (including 4K/ ch. ), screen shapes. ProjectionTools will enable you to use any warp and blend solution, IG or media server of your choice. Due to our longtime experience with highly complex projection environments and extreme quality requirements, our ProjectionTools have become the system of choice worldwide for visual display systems for ship, driving and flight simulators installed for renowned clients. Media installations for EXPO, in planetariums, museums or galleries also belong to our references. If you would like to know more about our projects you will find a small selection in our category showcase & clients. All editions are easy to use and guarantee best quality and absolute brilliance of your visual display system. Our ProjectionTools work with the operating systems Windows 7, 8 or Windows 10. Furthermore, the PatternGenerator also runs on Windows XP or Linux. The porting to other Linux systems is also possible. Please take a look at the exporter section below to learn more about the integrated modules of each ProjectionTools software edition. Any further information about the respective tools can be found in our FAQ-section. ProjectionTools Pro AV is the software package for the precise setup of large media installations. Depending on the size and complexity of the projection screen, one or more cameras or camera positions enable a quick and easy measurement by means of our tool Creator. The mapping will be configured and exported two-dimensionally (Mapper 2D). On top, our ProjectionTools allow absolute image brilliance by adjusting the brightness, clipping, fade-out and blending. ProjectionTools Pro Sim is the dedicated toolset to install and optimise visual display and projection systems for simulation and training environments and meets the demanding requirements of realistic visualization. Precise measurement of the screen and of the projection will be done by using the software tool Creator. 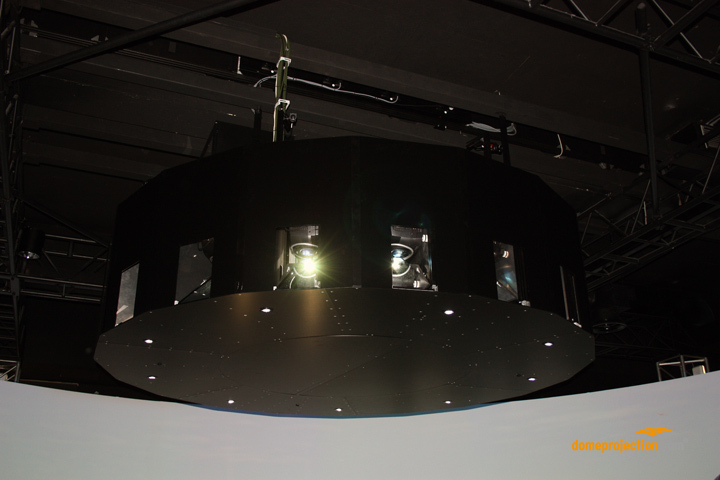 Afterwards, the eye points as well as the virtual cameras will be adjusted in the module Mapper 3D. The blending will then be optimally determined according to the virtual cameras. 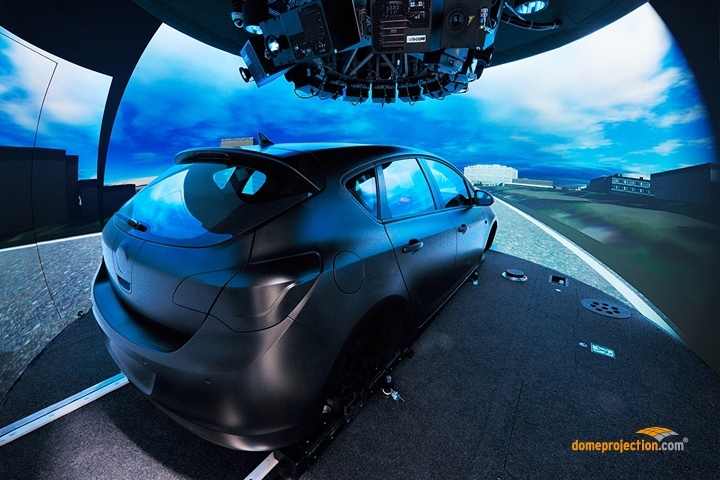 By adjusting the brightness, clipping and fade-out, you will experience realistic immersive flight or driving simulations. Especially for night scenes, black-level corrections can be calculated for each projection. For a high-end experience during night simulations, specifications for optical blend masks can also be derived from the measured data. These blend masks, called NBlend, offer the highest image quality and unsurpassed black. Especially in the fading ranges of the simulation, no transitions in brightness will be seen. Multichannel projections need to be re-calibrated after maintenance or replacement of projectors. A remeasurement using the ProjectionTools Pro Sim or Pro AV is possible, but it eventually requires a repositioning of one or more cameras. This can be time-consuming. If the maintenance period is limited by continuous operation, a fixed installation of camera(s) for a quick and easy remeasurement of the projection is significantly more cost-efficient and time-saving. To accelerate this process, the AutoAlignment tool can be integrated into ProjectionTools Pro AV and Pro Sim. Consequently, the whole calibration process will be fully automated, can be started with the touch of a button and will require no further user intervention. The unsurpassed quick remeasurement time of approximately 30 seconds per projection channel makes AutoAlignment the perfect add-on for your chosen ProjectionTools package. 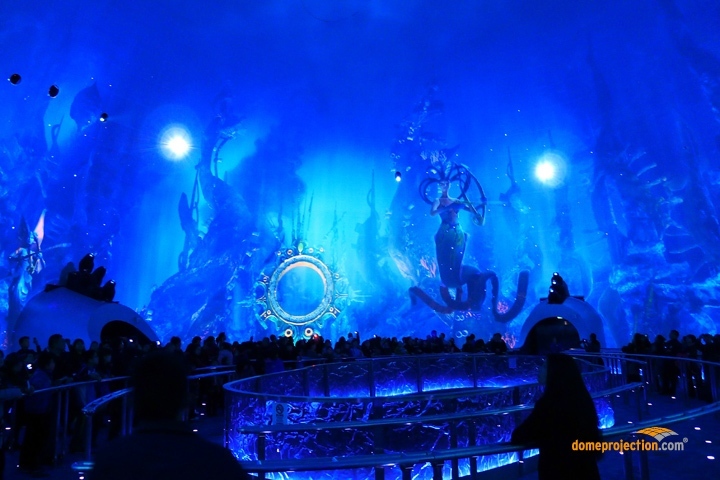 After the measurement data has been exported, the original quality of the visual system is restored and you can use the projection system as before. ProjectionsTools integrate a variety of hard and software into your visual system. The measurement data resulting from the projection will be exported and stored for a variety of simulation software, warp and blend hardware, projectors and graphics cards. domeprojection.com® offers the possibility of using generic exporters. Thus you are able to integrate our calibration data into your software directly and independent of 3rd party warping and blending solutions. The tables below provide a selection of possible exporters which are available. In addition, you can also download the tables as pdf file here. If your system is not supported please contact us with details about your project.